A disease which robs children of the ability to walk and talk has been cured by pioneering gene therapy to correct errors in their DNA, say doctors. The study, in the journal Science, showed the three patients were now going to school. A second study published at the same time has shown a similar therapy reversing a severe genetic disease affecting the immune system. 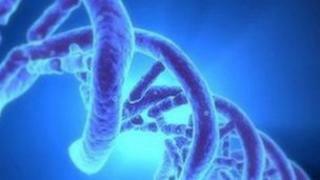 Gene therapy researchers said it was a "really exciting" development. Both diseases are caused by errors in the patient's genetic code - the manual for building and running their bodies. Babies born with metachromatic leukodystrophy appear healthy, but their development starts to reverse between the ages of one and two as part of their brain is destroyed. Wiskott-Aldrich syndrome leads to a defective immune system. It makes patients more susceptible to infections, cancers and the immune system can also attack other parts of the body. The technique, developed by a team of researchers at the San Raffaele Scientific Institute in Milan, Italy, used a genetically modified virus to correct the damaging mutations in a patient's genes. The hype around gene therapy was huge - nipping into the genome and tweaking a bit of DNA was supposed to change medicine. However, it failed to meet expectations - there was a death in one trial and other patients developed leukaemia. It turned out that introducing the new genes could activate cancer genes. The potential was there - but safety was a massive concern. There has been years of research to come up with safer options. It took until 2012 for the first gene therapy to be approved in Europe. But there is now growing optimism that other therapies will follow. Bone marrow stem cells are taken from the patient then the virus is used to 'infect' the cells with tiny snippets of DNA which contain the correct instructions. These are then put back into the patient. Three children were picked for treatment from families with a history of metachromatic leukodystrophy, but before their brain function started to decline. Dr Alessandra Biffi told the BBC: "The outcome has been very positive, they're all in very good condition, with a normal life and going to kindergarten at an age when their siblings were unable to talk. "It is something which is very pleasing to us." She said that all treatments had side effects and these patients needed to be followed for longer, but the evidence so far suggested the treatment was safe. Gene therapy is a field that has promised far more than it has delivered and has been hampered by serious concerns about safety. Dr Biffi said lessons had been learnt from previous failings: "Experience showed that gene therapy could be improved and we could be at the starting point for a new era to achieve more than we did in the past." In the other study, published simultaneously in the journal Science, symptoms such as repeat infections and eczema had lessened in the three patients treated. Prof Bobby Gaspar, from Great Ormond Street Hospital in London is working on a Medical Research Council trial using gene therapy as a treatment for adenosine deaminase deficiency - which also leads to immune problems. He told the BBC News website: "This is really exciting. Metachromatic leukodystrophy is a very significant neural degeneration which cannot be cured in any other way and now the study shows they can live relatively normal lives. "It raises the prospect that other diseases can be treated in the same way." Prof Luigi Naldini, who leads the San Raffaele Telethon Institute for Gene Therapy, said: "Three years after the start of the clinical trial the results obtained from the first six patients are very encouraging. "The therapy is not only safe, but also effective and able to change the clinical history of these severe diseases. "After 15 years of effort and our successes in the laboratory, but frustration as well, it's really exciting to be able to give a concrete solution to the first patients."